How to program Arduino using Smart Phone? Arduino Download Android can be done for programming on mobile. 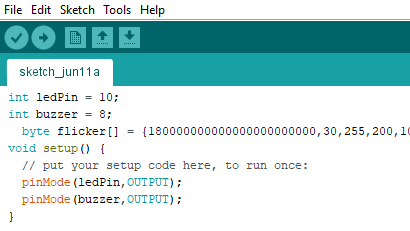 The exact Arduino IDE app for desktop can be obtained by doing Arduino Download Android. There is an Android App called Arduino IDE by Anton Smirnov. Download that app on your Android Smart Phone. You can also download this on Android TV. Check this link to know the best online free tool for making circuit diagrams. In order to connect the Arduino development board and to upload the program on the Arduino board, the following hardware is necessary. OTG device or OTG cable. After doing Arduino download Android, you will get a screen similar to the Arduino app on the desktop. The procedure and steps are also similar to the desktop app. Upload the program to Arduino using USB and OTG. If you are using the Arduino board on a desktop or Android TV, you don’t need any OTG to upload the program on Arduino board. You can directly upload the program using the USB printer cable. For a try, you can use this ArduinoDroid IDE but it can’t be used regularly for longer projects. You may feel difficult to code using a mobile phone. I won’t recommend anyone to program using a mobile phone as it was a difficult task to write coding. I am having a trick for making it more convenient. After completing with code, copy the codes. Paste those code on Arduino IDE for mobile.